Length: 22 minutes film + 25 minute Slideshow + Timetable section. Newly released from Green Frog. 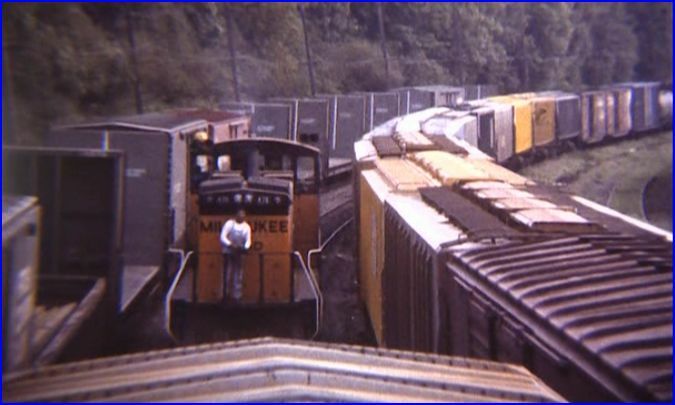 A Milwaukee Road trainman had filmed and photographed the line. Spokane to Othello, Washington. Shot in 1976 and 1978. 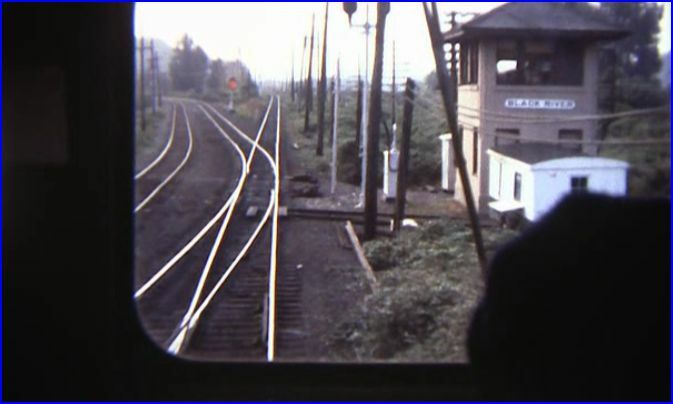 This is an employee view of the railroad, with cab ride action. Hotshot train #200 traverses the line. 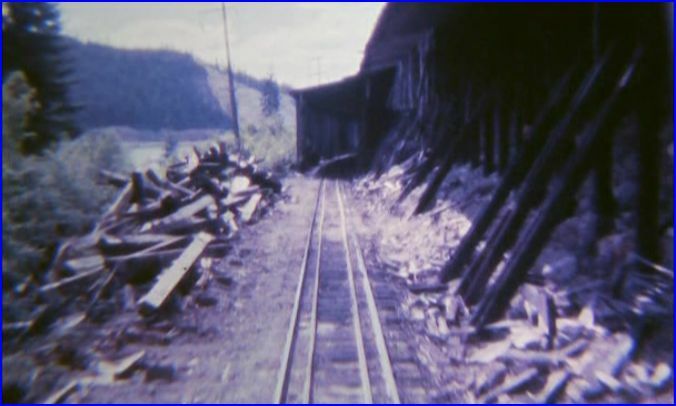 A combination of all color Super 8mm film is combined with a High Rez Slideshow. Special Features include a map section and timetables. The map assortment has some standard style and hand drawn maps. Perhaps illustrated by Crosby, those are detailed trackwork types. Nothing fancy, but present for those who want more. Usual, high production standards that we expect from Green Frog. State of the art digital equipment to give best quality from the source films. Versatile Chapter Menu with Special Features. Audio has 3 options. Standard Narration, Original John Crosby Narration and No Voiceover. Audio can be toggled between the soundtracks, via television remote control. The film is from a handheld camera. There is some camera shake. 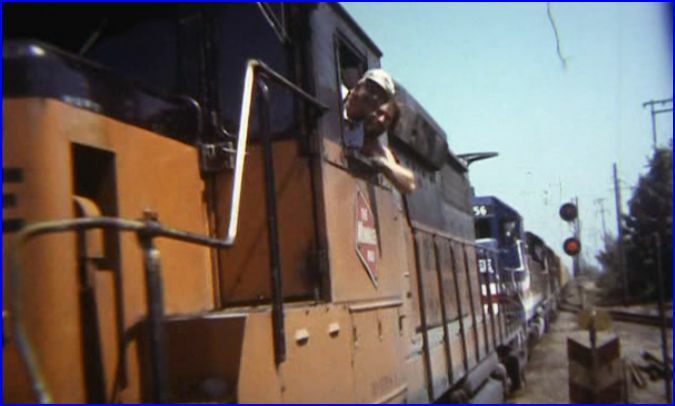 Viewers do get a personal and up close look as seen from a trainman’s perspective. Cinematography is amateur level. The stories, information and production level are professional. Action begins at Tacoma. 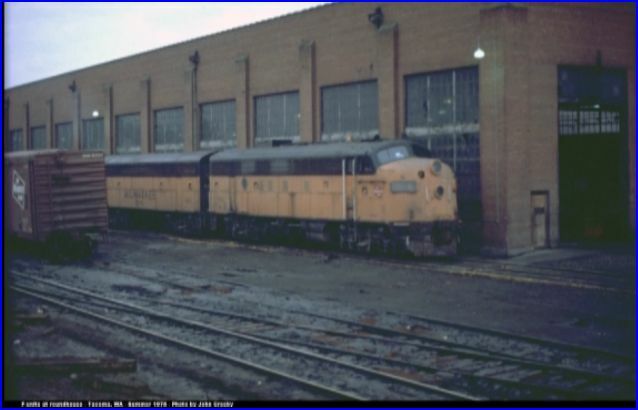 Roundhouse, yard and mainline views. Narratives have insider level of knowledge. The bulk of the show was from 1978. The train crews are friendly to the camera. 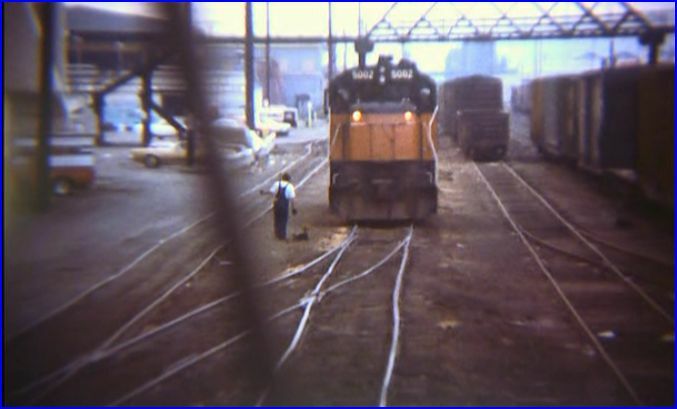 Majority of the Super 8 footage is from the cab of an SD40. Milwaukee Road # 200 is a hotshot freight. Interesting background discussion as we travel this line. Derailment damage and deferred maintenance are main topics. 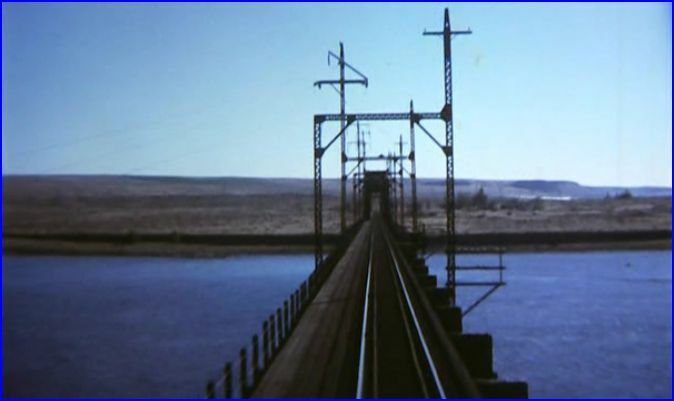 The train approaches the Columbia River Bridge. A huge structure, the entire crossing is experienced here. Sweet! Street running at Renton. 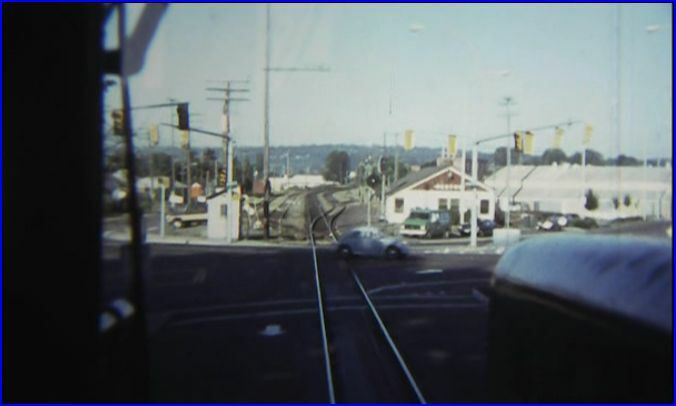 A Volkswagen Bug crosses ahead, as we see the Renton Station. This trackage and station, belong to Burlington Northern. 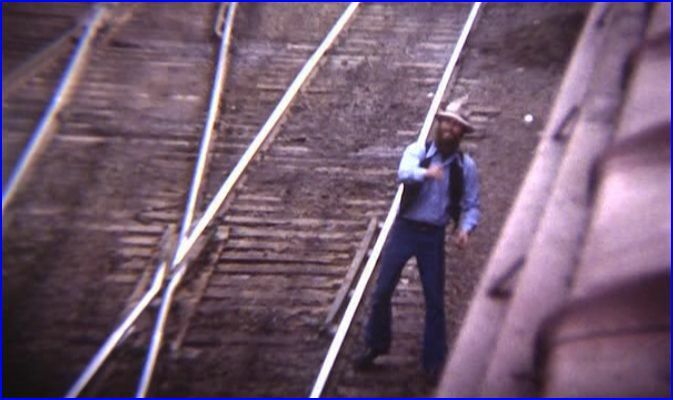 The story has a bit of 1976 footage. Stacy Street Yard in Seattle. Decrepit Milwaukee Road track scenes, are a sharp contrast to well maintained BN and UP sections. Black River Tower is maintained by Union Pacific. An MP15 switches the yard ahead in 1978. Is this man waving or throwing a rock? You will have to watch the show to find out! The film portion of this program is nicely done. The technically oriented explanations are a high point. Both voiceovers are similar. Mr. Crosby’s original is a little more technical. 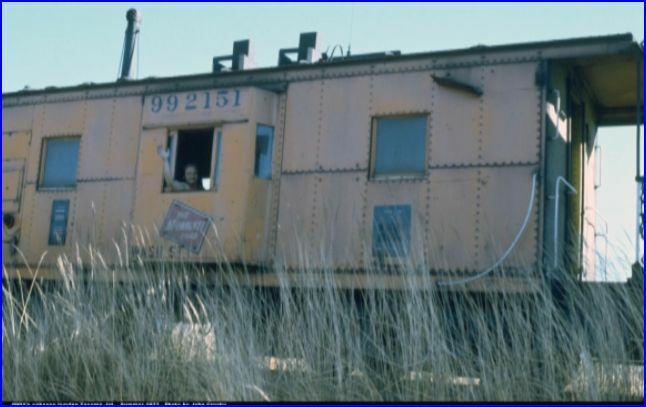 He has some fascinating insight into the railroad operations at the time. 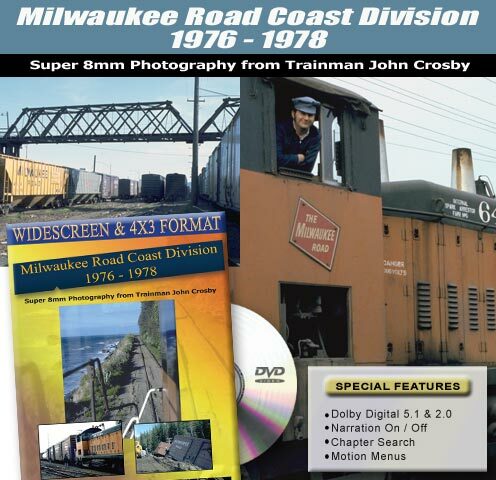 Milwaukee Road Coast Division 1976 – 1978. A short, well done program that makes maximum usage of a limited supply of film footage. The Slideshow adds value to this new release. Script, narration and production are strong points. In fact, the high quality production levels elevate the overall rating. 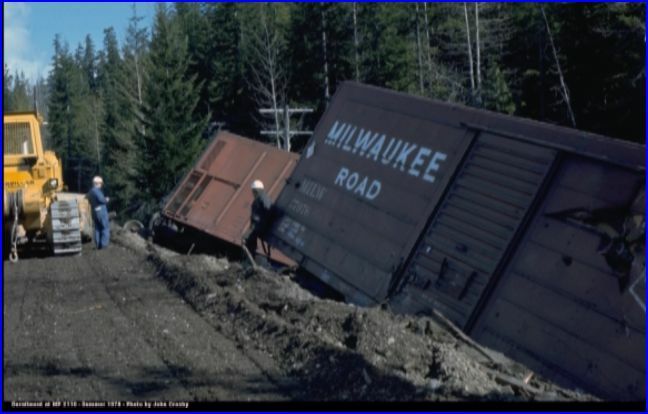 Organized and interesting look at the late era Milwaukee Road. Keep in mind, the running time is a brief 22 minutes of film. This show is a definite ‘must see’ for fans of The Milwaukee Road. Railfans and model railroaders should also find this enjoyable show has something for everyone. This entry was posted in ATVR Reviews, Green Frog Prod. 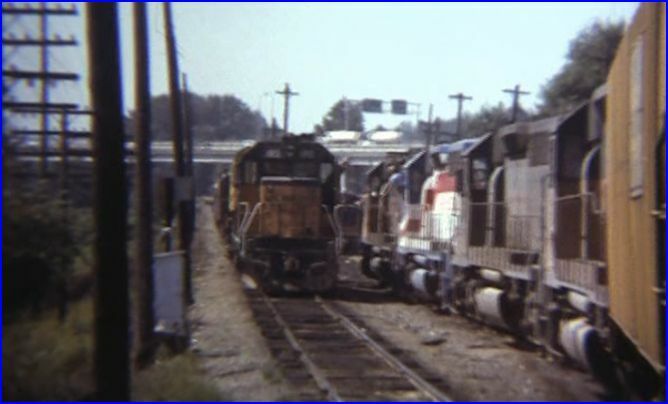 and tagged American Train Video Reviews, Milwaukee Road, new releases, Railroad, Train DVD by William J. Hudson. Bookmark the permalink.